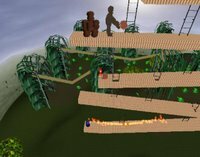 Here's a list of every single entry submitted for the Retro Remakes 2006 Competition. Actual results will only be announced in December. 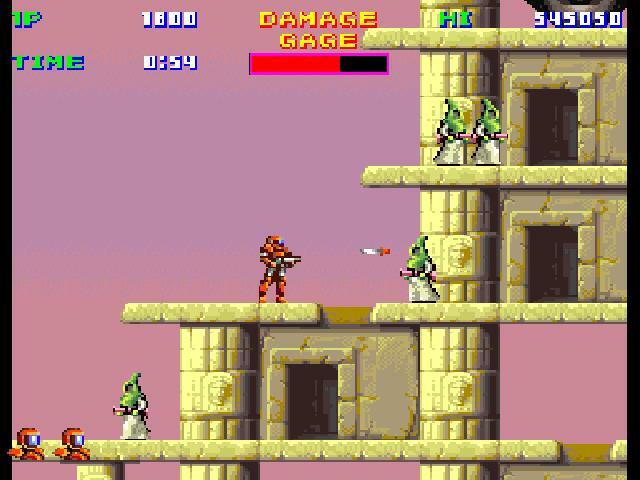 Seems to be a pretty good remake judging by the screenshots from the new version and the original Sky Ranger. Had a go at it as well, though the game isn't exactly my cup of tea. 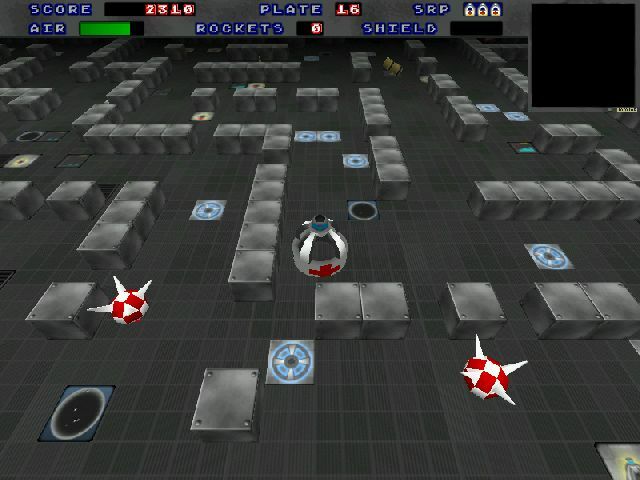 If there was ever a Retro Remakes competition entry that deserves a remake, Space Fortress is it. Avoid at all costs. 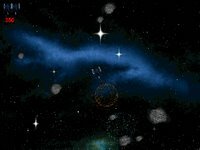 Astroids could possibly be a remake. It's impossible to tell as the author had made it impossible for players to get past the sponsors screen. Avoid at all costs. 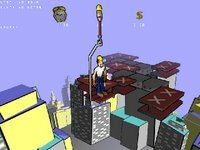 Fame Quest is a pretty decent attempt by John Adams to swap the simplified roguelike gameplay of the original with 3D graphics and a new interface. 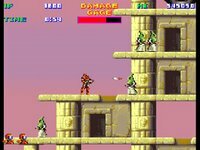 Unfortunately there is too much ground to cover to find any sort of action and the battle system itself is a little tricky to use. Needs more work. The Gumball remake is pretty accurate when compared to the real thing. 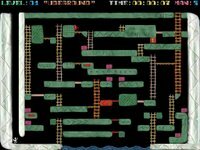 A difficult puzzler that will have you juggling several tasks to get the correct round objects into your carts, then depositing them into a pipe on the right to meet the daily quota. A lot of accessibility options have been included, which should please fans of the original. 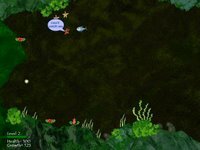 Life of a Fish is an alright effort by Roen, though it's quite regrettable that any remake of Shark will be unfairly compared to Feeding Frenzy. A game which only requires one button might have done well in a One Switch contest, Zampabolas doesn't stand much of a chance against some of the brilliant remakes released this year alone. Press a key to grab more food than your opponents in order to win each round. That's all there is to this effort really. Superkid Returns is a remake by Park Productions that has decent controls but monotonous gameplay. Your objective is basically to rid a certain section of town of street gangs and holigans while saving law-abiding citizens from danger. Works well enough, although there's not much in this effort to suggest that it would hold anyone's interest for longer than a couple of minutes. 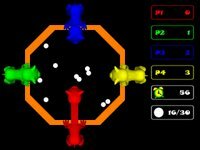 It's surprising that only one other developer had thought about remaking Crossfire, but between the two Gridfire emerges champion and leaving no room for dispute. 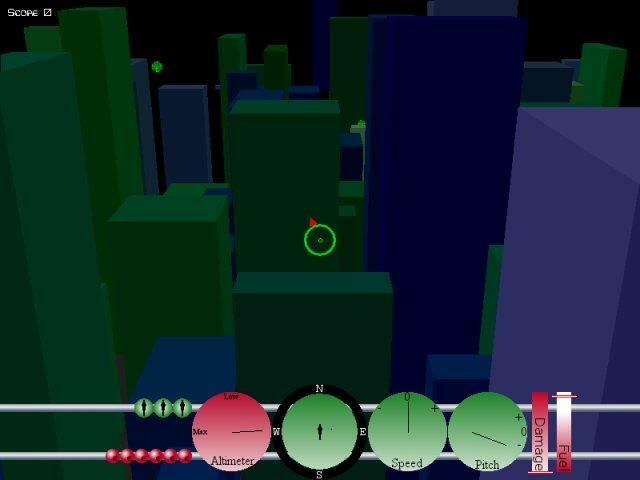 Basically your objective is to navigate around a maze and shoot everything that moves to advance through each stage. 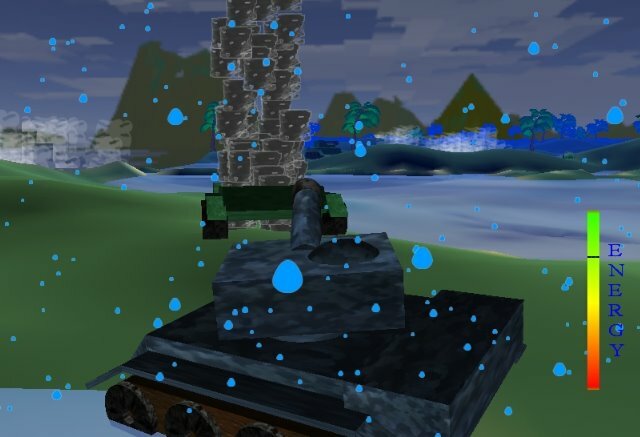 Enemies will attempt to hide behind other objects, only emerging to ambush you at the right time. Your ammunition supply is limited but can be replenished by collecting the correct bonus item. Updated sprites make for cute targets as well. Deserves full marks if not for the missing joypad support. Nintendo has been in the business of making platformers for ages, so it's not surprising that any attempt to improve upon their existing products is set to end in tears. Still, that has not deterred amateur game makers from attempting as proven by Marioland Plus. The controls are awful, certain sound effects are missing, and sprites lack any sort of consistent quality. 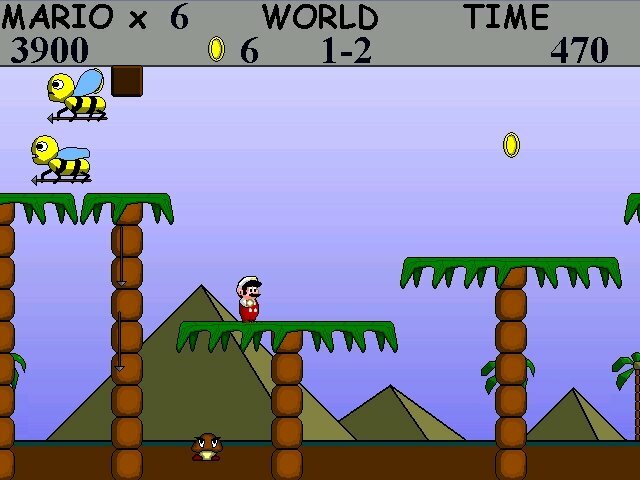 There are much better freeware platformers available elsewhere. Avoid. Remaking Snake in any form for the Retro Remakes competition is never a good idea, since the gameplay is extremely simple and won't hold interest for longer than a couple of minutes at best. 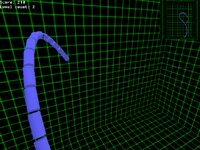 Justin Reid's 3D Snake only manages to be a novelty piece and not much more. Originally a black and white Game Boy title, the Solar Striker Remake has pretty good graphics yet still remains relatively faithful to it's source material. The difficulty level is set rather high, a fault evident in the portable classic as well. 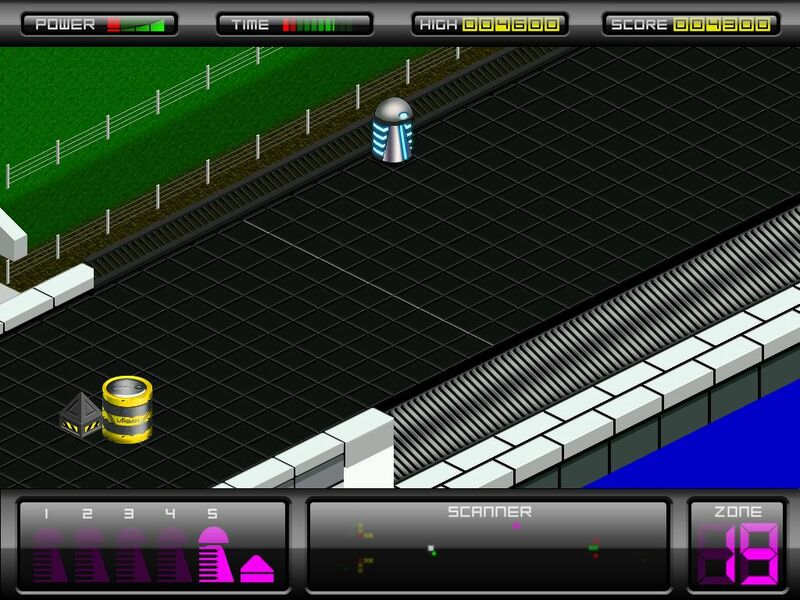 The Run is a 3D remake of an old isometric maze game entitled Incredible Shrinking Sphere. 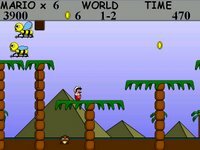 Most of it's gameplay mechanics are retained but fans of the original may be hesitant to embrace the new random level generator. 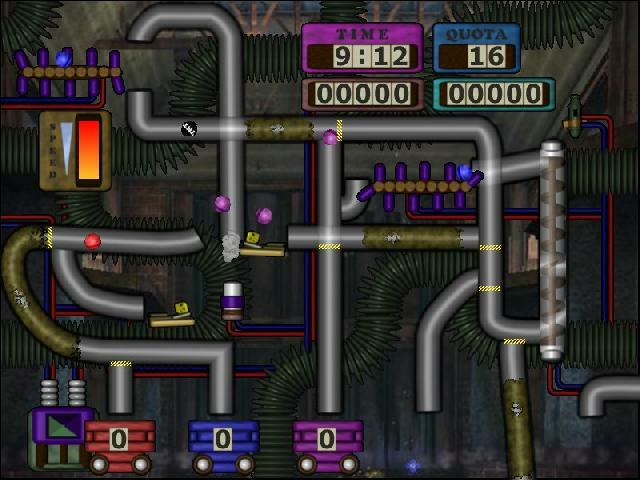 An average puzzler that will probably be lost in the glut of entries submitted for the Retro Remakes 2006 Competition. 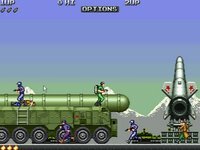 Having The A-Team theme song playing while the game loads doesn't exactly instill confidence, and perhaps we're lucky that Tank only displays a blank screen and nothing else. Avoid. Some of John Romero's early works were really made for a quick buck or two. These efforts are relatively easy to reproduce, though not exactly perfect source materials for remakes. 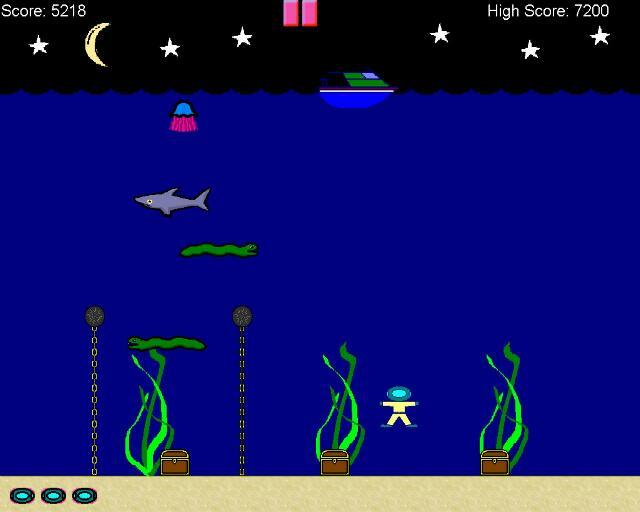 In Twilight Treasures, you assume the role of a diver on a quest to retrieve sunken treasures while avoiding dangerous sea creatures. The original had absolutely no merits to deserve a makeover. 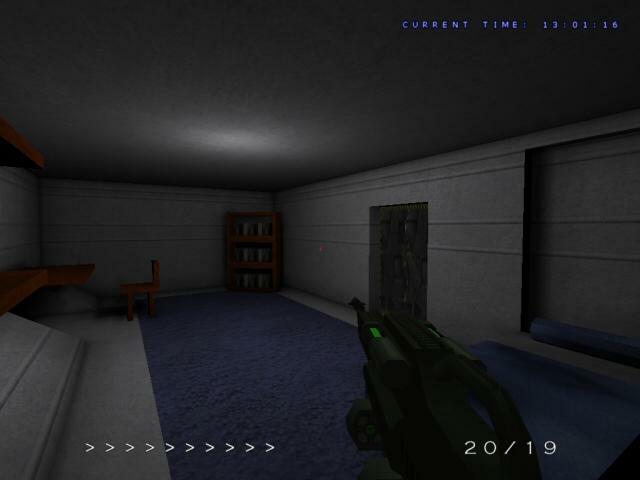 The Project Firestart remake by Erik Hogan lost much of it's character during the translation to 3D. Controls have been simplified but the creepy atmosphere in the original is nowhere to be found in this production. 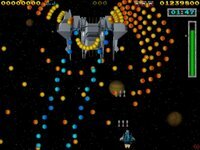 Classic games are difficult to improve on, and turning them into a first-person shooter only dilutes the experience. 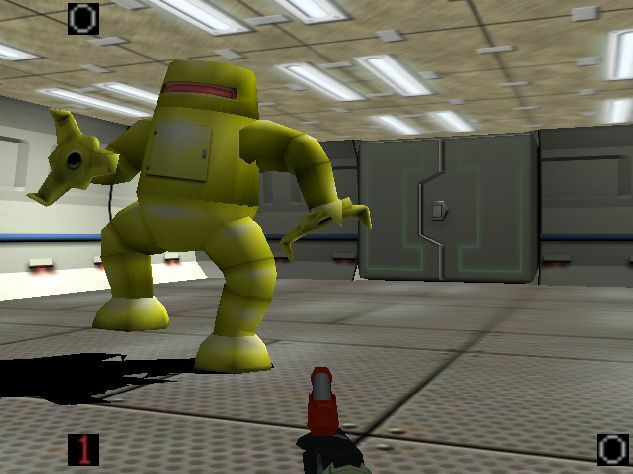 Implausible Mission is a remake of an old Epyx platformer that was quite similar to Prince of Persia, but with robots and an evil mastermind's lair as the setting. With a bit more work, this effort would have been a perfect homage but in it's current state improvements are still required. An interview with the original author can be found here. Metal Sector is a poor effort by Remi that bears the description of a Sonic the Hedgehog remake on the competition page. 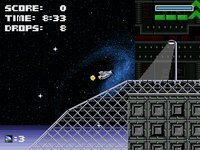 The charismatic mascot has been replaced with a ship that doesn't seem to belong in a platformer, with unresponsive controls not helping it's cause in any way. A miss. 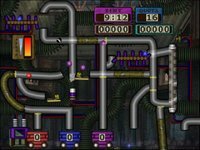 Labra Tetris seems to be a decent remake of Alexei Pajitnov's classic puzzler, but it's extremely suspicious that the work is dated June 2006 which is three months before the entry submission date. 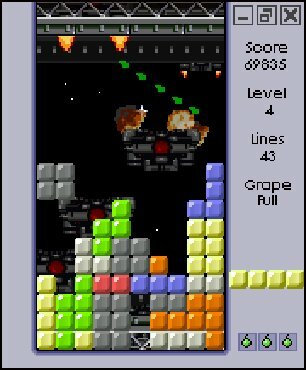 Plus there are many Tetris remakes available and nothing new is offered by this effort. A miss. Koronis Rift is another remake that is remarkably faithful to it's source material. Fans of the original would enjoy this effort but new players would find it difficult to appreciate it's gameplay. 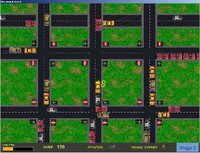 Traffic 2006 is a very competent remake by Neil Mansell, in which you play the role of a traffic controller in charge of the busiest intersections and nothing else. 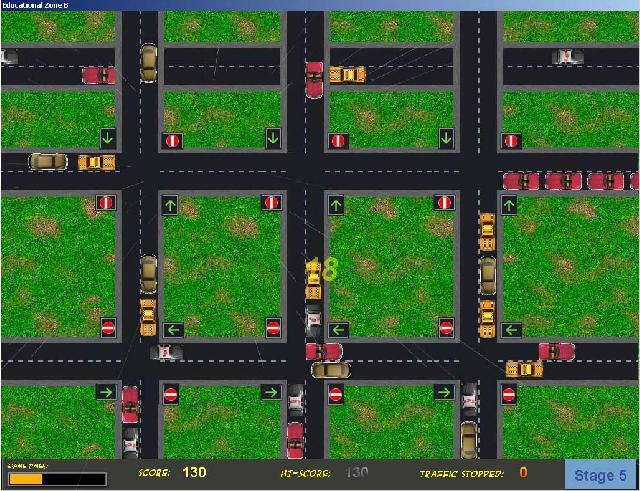 Lights can be changed to move cars around, since bad jams tend to result in the game ending quickly. It's quite unfortunate that the original production by Quicksilva was only remotely fun. 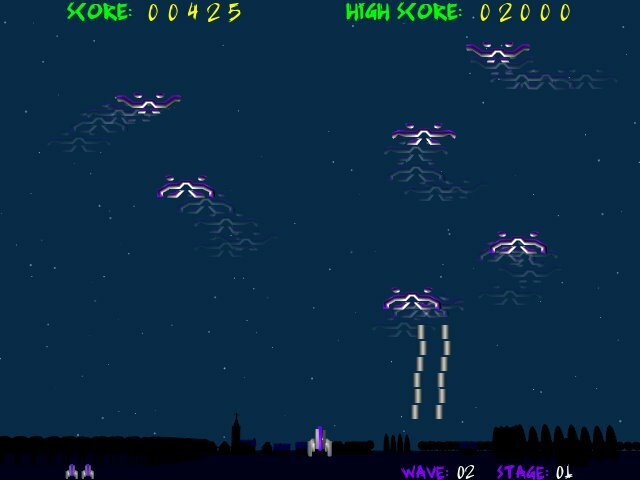 The Berzerk 3D remake starts off nicely, with an intro and the right sound effects that will please anyone who had fond memories of Stern's arcade classic. 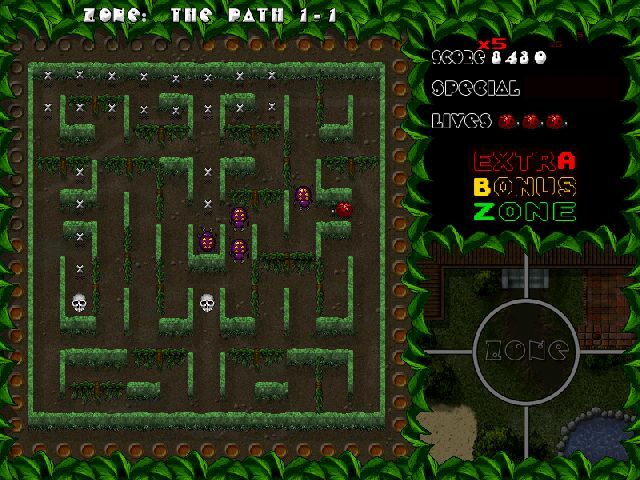 At it's heart is a maze game in which you have to keep the main character alive for as long as possible while racking up a sizeable score. The transition to 3D isn't exactly a smooth process. 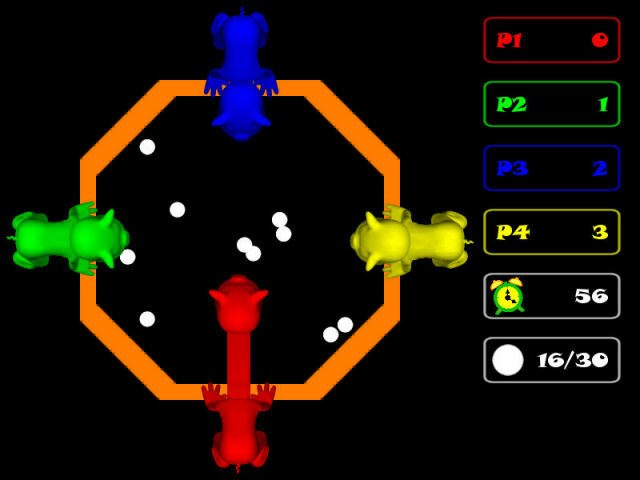 Movements have been complicated by the need to turn around and face your opponents, plus robots are slightly harder to shoot at due to the new perspective. Rooms also spin around erratically, causing much disorientation. 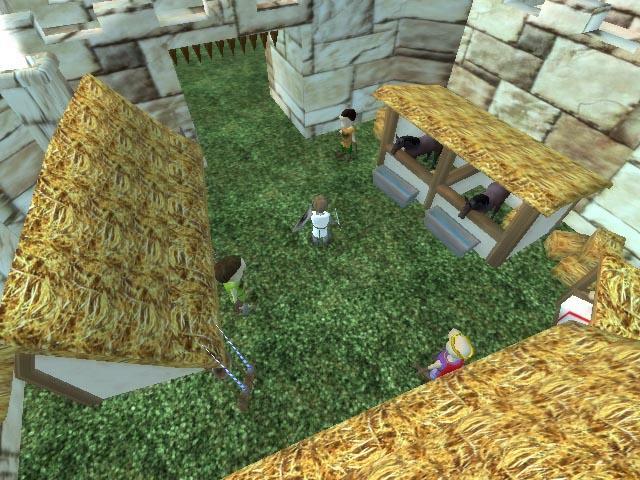 The main character has a rather eccentric walk animation, and entering new rooms usually means random placements. 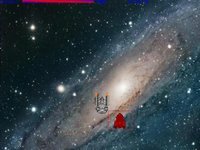 Pressing the escape key exits the game entirely, instead of bringing up a pause menu. The game is also known to cause display problems when switching windows. A commendable effort that tried hard to emulate but strayed too far from it's source material. Lofty ambitions from the developers to impress, which would have worked extremely well if a few things were kept simpler instead. 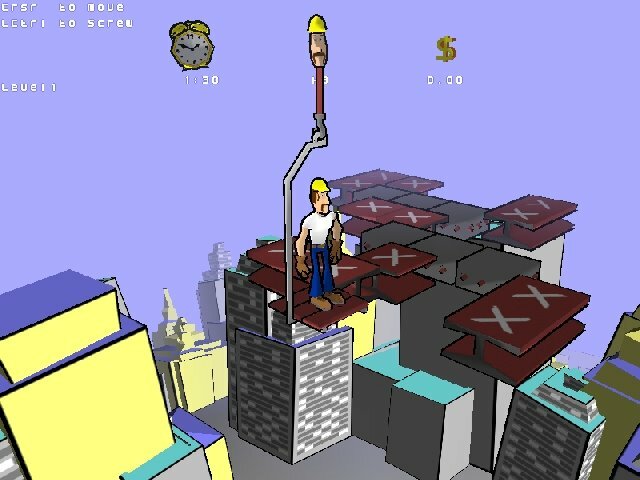 Rock 'n Bolt is a decent remake by GM Design in which you assume the role of a constructor stuck high above the city. Your job is basically to lock down all moving girders when they stopped moving back and forth temporarily, then make it back to the elevator to advance. The game may feature 3D graphics but lost nothing during the port from the original. Only fourteen levels out of a hundred have been included in this effort. 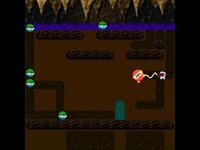 LadyBug 2k6 is a rather competent remake of the original with updated graphics, but it does carry the tag of a Pac-Man clone with gameplay that doesn't translate too well for the current generation of gamers. Still, there's quite a number of additions and extras in this effort to merit the attention from fans of the original. 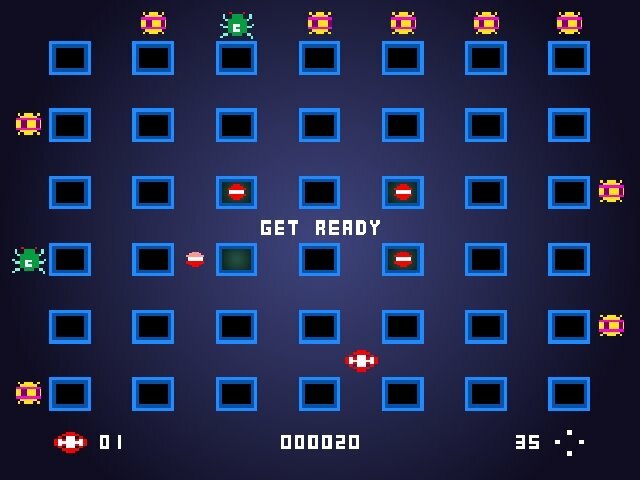 BerzerkerBotz is a remake that has little to do with the original Berzerk. Features 3D graphics but missing a full free look function. No configuration menu or autofire option either. A miss. 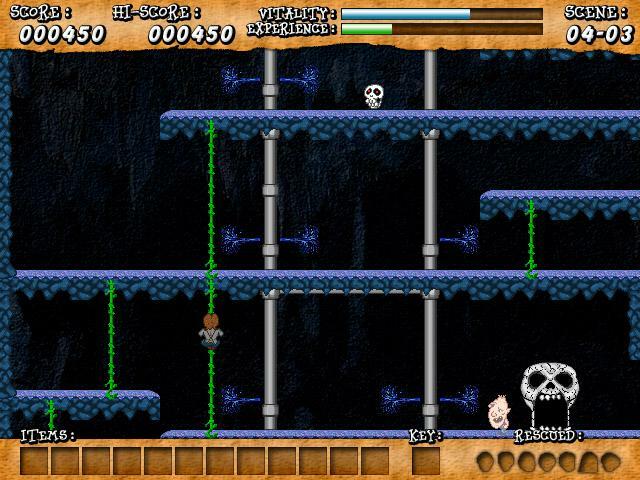 Rise Out: the Remake is a Retro Remakes 2006 Competition entry based on a Lode Runner clone. 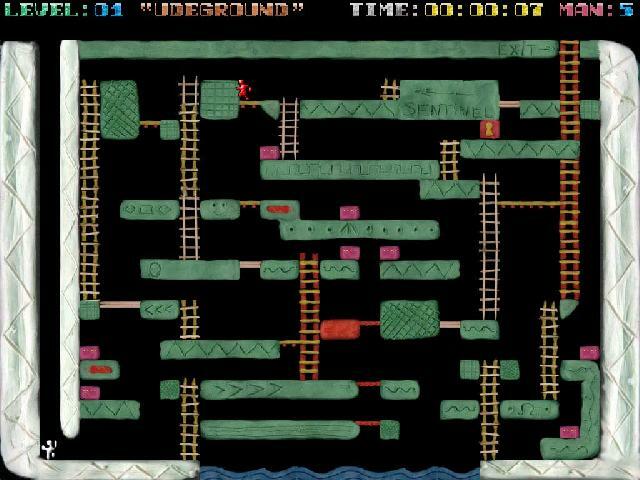 Each level showcases a different theme, though it's quite strange that hand-to-hand bars in the game cannot be used. There are also one or two minor differences but overall this effort seems to depend too much on a single gimmick. 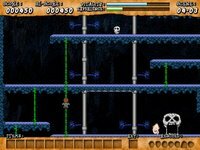 Xain D Sleena is an excellent platformer remake by X-Out, developer of the equally impressive Prototype. 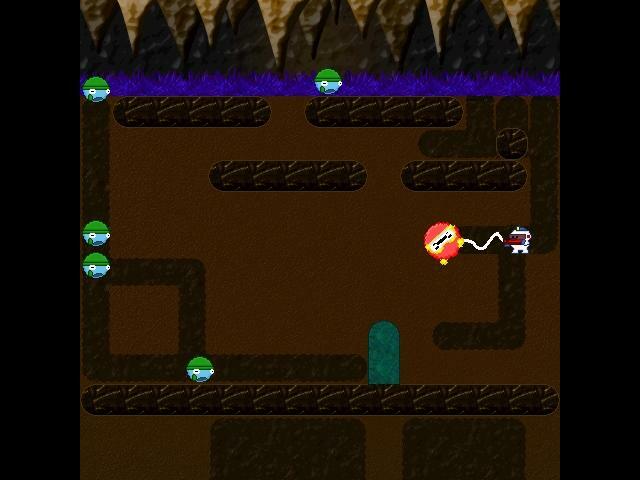 You assume the role of a soldier with a mission to save each of the five planets invaded by the enemy forces. Each location consists of two equal parts. You have to fight your way to the enemy base station, detonate it and leave on your ship. 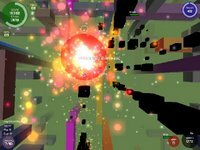 The escape is basically a horizontal shooter stage with a boss in the last planet. Plenty of options to tweak such as autofire, difficulty and image quality. 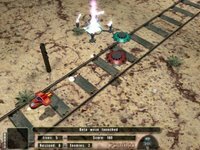 Having to restart from a save point after losing all health may discourage a few players from playing much but fans of the original will cherish this remake. 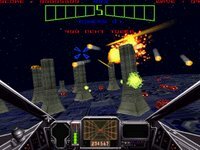 The Star Wars 3D rail shooter remake by Minionsoft shows much effort from a developer who is in love with the series very much. 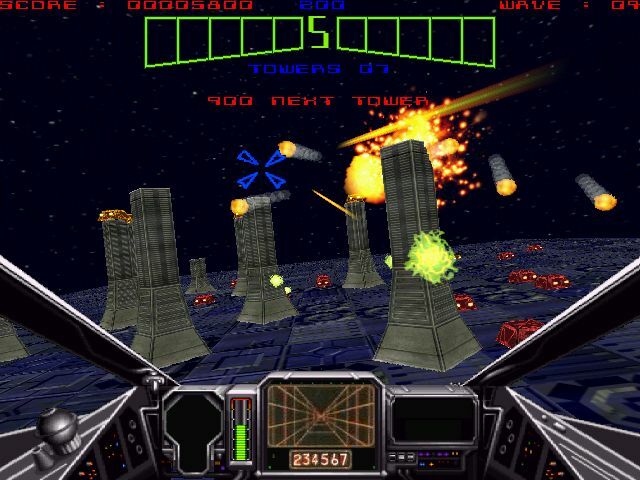 Each wave consists of three stages, culminating in a final run to destroy the Death Star itself. Just aim using your mouse and hold down the left button to shoot. 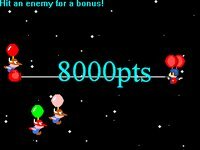 In the last level, you're encouraged to avoid the act of shooting completely for a substantial bonus. 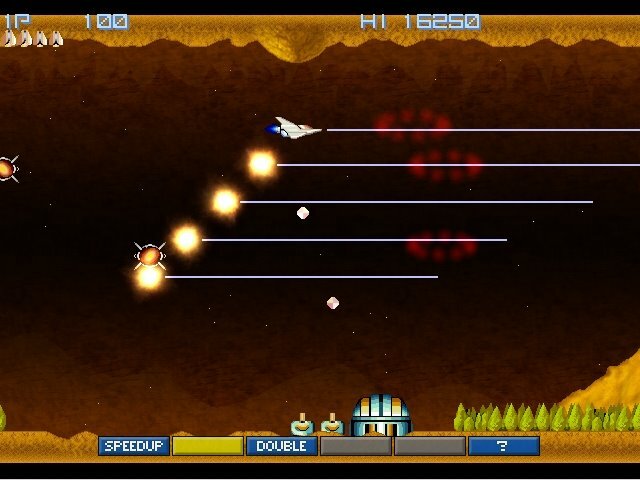 Guide your ship around enemy bullets and fire at the right moment to destroy the behemoth, complete with cheesy explosions that will leave a smile on your face. Use the force, Luke! Another average effort from Park Productions, the Endurance Kaboom remake has basically the same monotonous gameplay as the original. 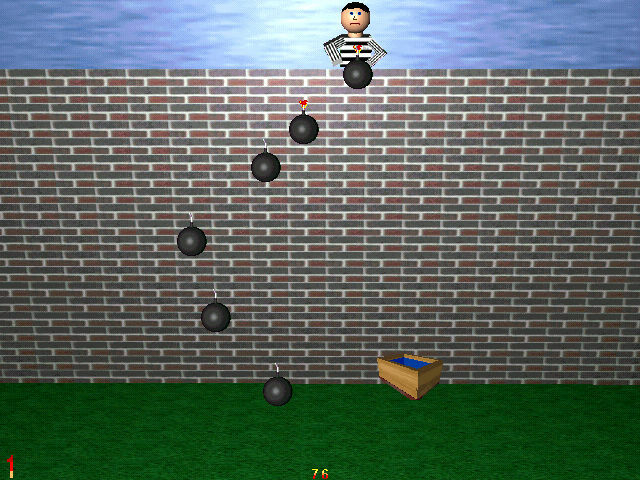 All the player has to do is move a stack of boxes around to catch bombs dropped by a criminal. A life is deducted when an explosive touches the ground. Avoid. 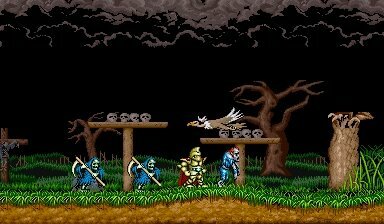 The Ghouls'n Ghosts Remix is very much what it's title suggests, a mix of everything from the series. For a platformer it plays well enough although the lack of any settings or options to configure is proving to be quite a disappointment. The competition version of Green Beret: Fenix will not run due to a missing library file. An update is available, but unfortunately even that doesn't work too well. Menu navigation is problematic, glitches happen far too often and quite a number of things in the game are broken. Some potential can be seen but this is obviously a project which was rushed in order to meet the submission date. Avoid. 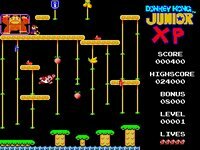 Donkey Kong Arcade is a rather bland 3D remake of Nintendo's classic platformer by Andy Hansen. 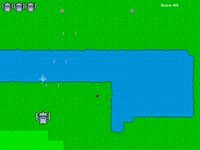 Pretty impressive work from a thirteen year old, but unfortunately the game is lacking in several areas and has nothing to suggest that it deserves anything more than a passing glance. Spiky Harold is an alright remake with updated graphics and little of anything else. The easy difficulty setting is a nice inclusion, sadly lacking in the original. Plays reasonably well though it's predecessor wasn't exactly a platformer classic. Poster Paster by Shane Hockings is an extremely faithful remake, down to every minute detail. Unfortunately that is also where the problem lies, as the wicked controls made their way into this version as well. The objective of the game is basically to paste posters on empty billboard spaces while keeping mutated creatures away from your bucket of glue. Not recommended for anyone except for fans of the original. Two gems in a row from Ishisoft, and it seems like the Puyo Puyo remake will make it three. 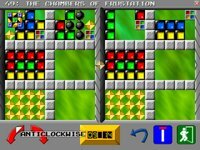 A second release out only months after the excellent Pushover, Craig Forrester has now updated the Amiga favorite Clockwiser for everyone to enjoy. 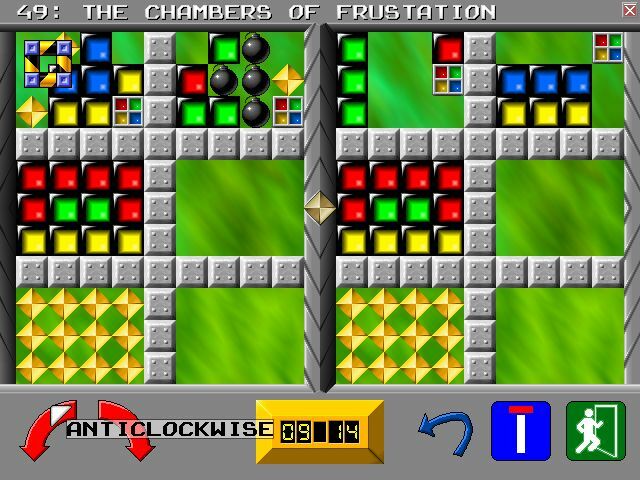 The objective of the game is basically to rotate blocks belonging to the section on the left so that they match the ones shown on the right. This can only be done by drawing rectangles and moving them along it's edges, with the pull of gravity in effect at all times. Special blocks will be introduced at a steady pace, and there are just enough configurable options to please both geniuses and beginners. An unlimited undo feature has been included, plus the doodle city is a blast to play around with. Practically no fault to be found in this effort, hence it comes highly recommended for fans of difficult puzzlers. 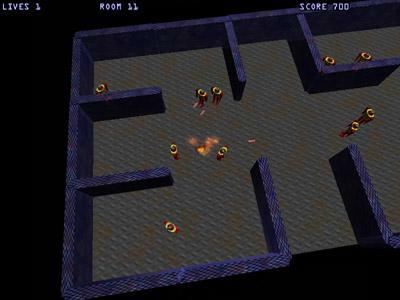 The original Panther was an isometric shooter much like Zaxxon, which Peter McGann has decided to remake with updated graphics. 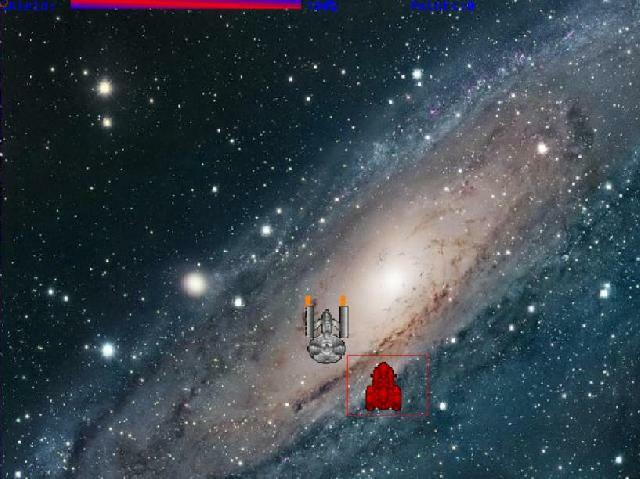 Controls can be rather confusing to new players, since your ship moves forward only when it gains some altitude. Press the up arrow key to take flight, and hold the space key to shoot. You need to be at the same height as your enemies to be able to blow them to bits. A pretty decent effort although there's not many options to play around with. The Highway Encounter remake by Andrew Nixon, though extremely faithful is not without a problem or two. Control configuration is rather erratic, and certain options are not available although everything else worked pretty well. 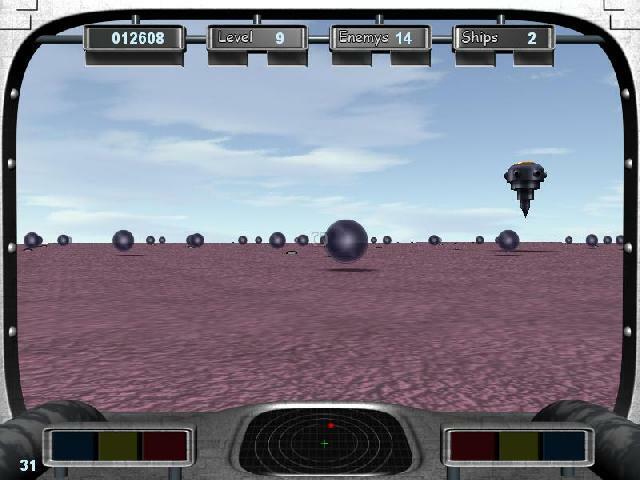 The objective of the game is basically to clear a path for your fellow robotic colleagues, so that they may reach the end of a long highway and blow up an alien mothership. Definitely anyone who fondly remember the original for it's unique gameplay should get this right away. 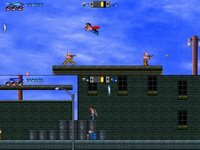 The Nemesis remake from Ovine by Design is a shooter that looks great and plays just like the original. One of the very few Retro Remakes 2006 Competition entries that is actually better than it's predecessor, which is quite an achievement considering that Konami's classic is a tough act to follow. 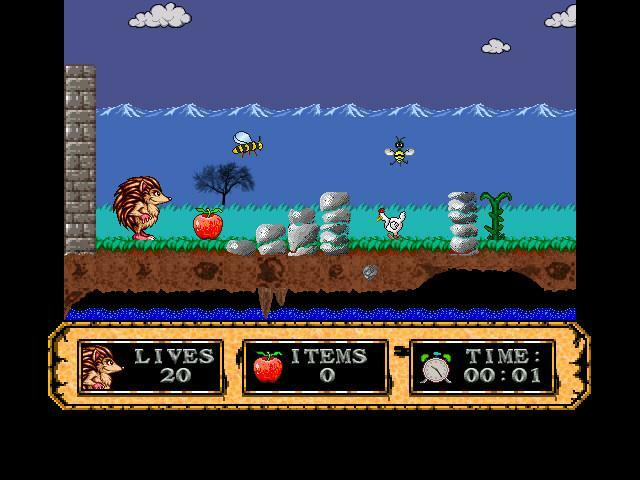 Scottige and Smila had done an excellent job porting the console adaptation with several changes made, most notably the inclusion of a new soundtrack and updated graphics. Admittedly the driving section may hurt the eyes a little but just about everything else plays like the original. A decent tutorial would have been welcomed, as the current help screen can be rather confusing to some. 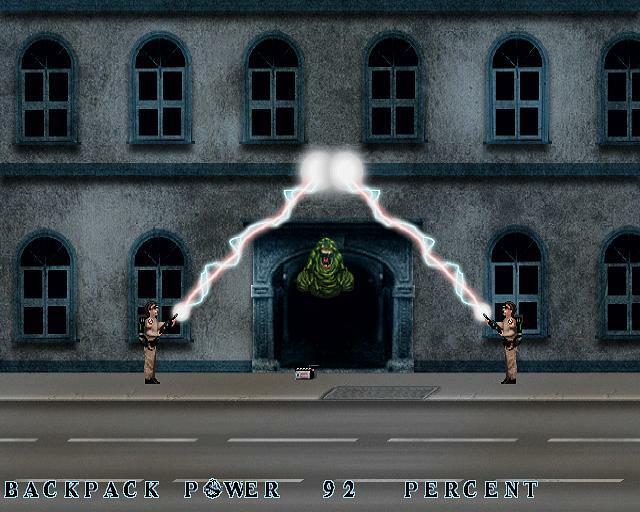 Everything is great and all, though the Ghostbusters game still remains a love or hate affair. 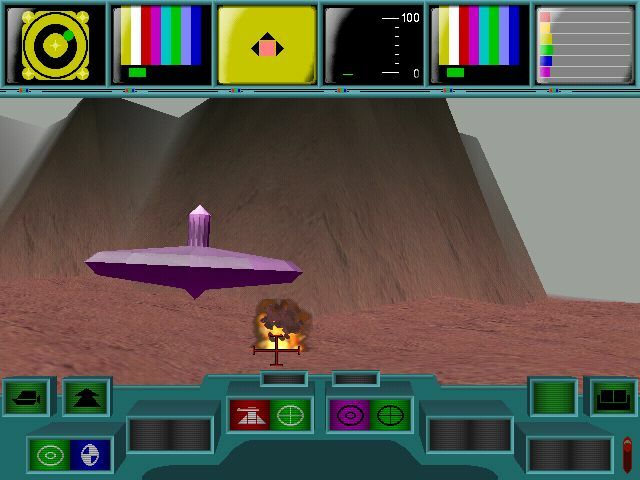 The original Encounter was pretty much known as an updated Battlezone clone. Shinobi's remake does include some neat additions such as mouse controls to complement the improved graphics. 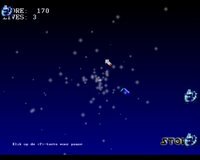 Counterclockwise is a perfect demonstration of the quality of entries submitted to the Retro Remakes competition this year. 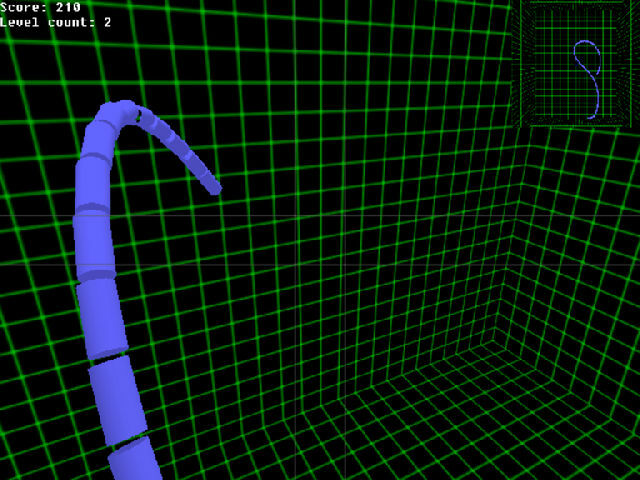 Essentially Tron in 3D, this remake puts you in a ship that leaves a trail during flight. Your basic objective is to destroy enemy chasers, either by shooting at them or using the EMPs supplied. Ammunition is limited, but it's possible to replenish them by collecting power-ups or executing tricks. These special moves can be practiced in a special trick trainer section. A multi-player is currently being developed, although the online high score table has already been implemented in the current version. 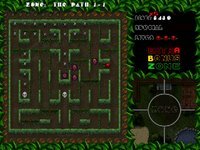 Demon Attack is a pretty good remake by Harold Thijssen, and an improvement in nearly every way over the original. Gameplay is rather similar to Galaxian, in which an enemy would swoop down on your ship when dropping bombs isn't enough to annihilate the player. 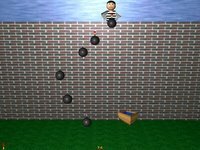 The speed at which a bomb descends can be reduced or removed entirely. There's also an autofire option and save game function included in the package. A competent remake, although Imagic's classic doesn't exactly have the sort of pulse-pounding experience that would entice most shooter veterans. Besides the imaginative name, Serioux has practically nothing going for it. 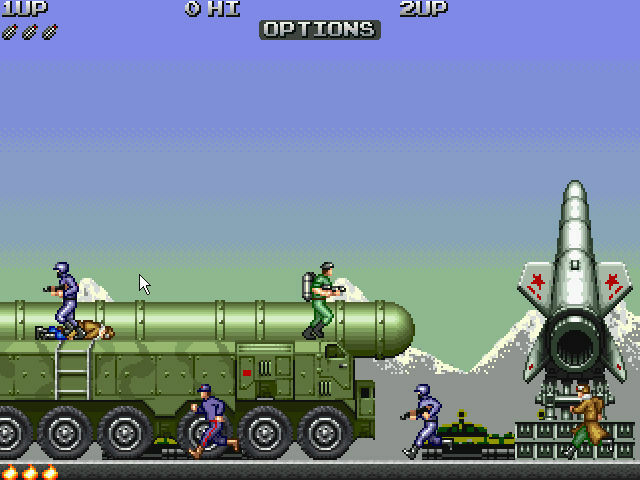 Sprites and backgrounds are poorly drawn, gameplay mechanics have been changed to cater for a larger screen size plus many objects are just too small to shoot at. 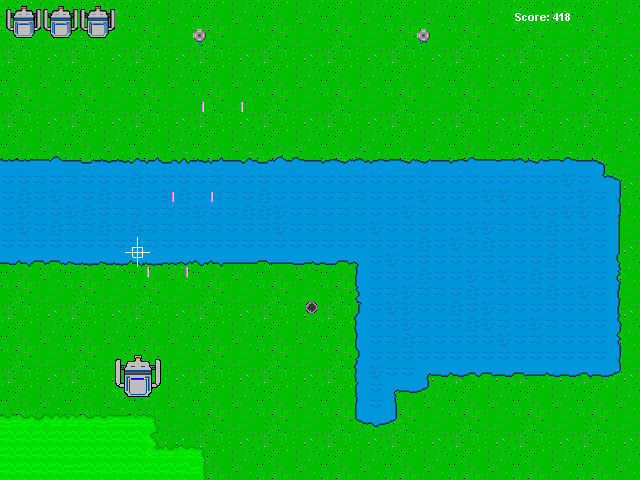 More likely to be slightly inspired by Xevious rather than an actual remake. Avoid.